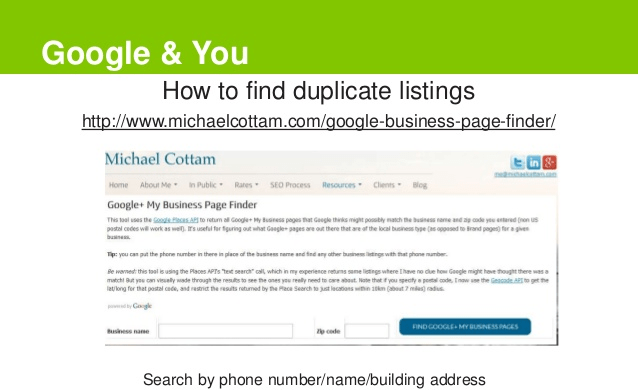 Local SEO: How to Find Duplicate Listings? Why sometimes rankings drop? Why the visibility reduces? The answer is inclusion of several negative ranking factors. 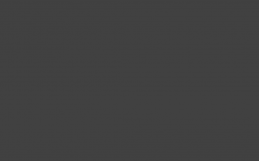 Among these negative factors, Duplicate listing is one of the main factors. To know whether your business has any duplicates or not, it is necessary to conduct some research. Here, we will see the entire process that can be used to find duplicate listings and then manage them in such a way that these don’t have any negative impact on rankings. How to Find Duplicate Listings? Open “Local SEO Duplicate tracker template” and then prepare its copy. Fill the business details on the top line based on what you see on business website. Then go to Google Map Maker and search for the business that you are looking for. Put the phone number in search bar and you will get every listing that is available in that area with that particular phone number. Right Click on the business name for each listing and then choose “Open Link in New Tab”. This can be done for all the listings that you see here. This will provide Map Maker URLs for every listing in the address bar. Now, make a record of these URLs in Google Documents and note the corresponding business name in another column. Check all the listings along with their address and phone number, Zip code, website URL and categories for every listing into spreadsheet. If you find anything that doesn’t match on the website then it is to be marked in red. This shows that it is problematic. Press Cancel at the Screen bottom. This will close the edit mode, right click and choose “View Page Source”. Press Ctrl +F and search for “CID” and get the long number which you see in quotations. Now, one wants to see whether there are any duplicates which exist at that address which uses a different phone number. To complete this, make use of Google.com and type the query that you want to search. You will get a ton of listings that use one particular address because it’s a building that is used by many different businesses. One is in search of only those that are related to a particular business. How to Handle Duplicate Listings? The business name must follow Google’s guidelines and must not contain unnecessary keyword stuffing. The entire phone numbers listed on Google must match with those that are available on the website. The street address must be mentioned in the proper format and it must be consistent across all the professional listings. There’s no need of suite numbers and these don’t impact rankings. City and Zip Code must be present and that too must be correct. In case, these are not present; take a look at Google Maps as to why they haven’t shown the city. Avoid overlapping categories; make use of as less amount of categories as possible. Don’t use unnecessary business categories; have a look at categories by competitors. Professional listings are not considered as duplicates. Choose the listing that you wish to see higher rankings for. Allow them competing against each other. Let’s say if you wish to control the listings that Google displays in three packs then you must be very careful about the website URL that one can use on each listing. Make use of the strongest URL on the listing that you wish to rank on Google. It is necessary to have CID number for the business. Always ensure that Google is showing right business. 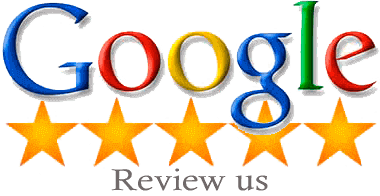 The CID number can help to get reviews transferred if any case the need arises. If you find other listings containing your address or if you have found any duplicate listing then these must be removed. This completes the entire process of Duplicate listing research. Try out this, find the duplicate listings and get them weeded out. Hope this blog post was useful to you. For more such guidance or tips related to Local SEO; get in touch with Platinum SEO; SEO experts in Melbourne.